New sculpt. You can see cool new tooling in this all over from the head, back, hands, feet, tail, etc. NECA stayed very true to the original figure by Kenner. The mimicked the packaging and added a blue Facehugger and a mini comic. Over 9" tall when fully stretched out. Extremely articulated which means you can get all kinds of crazy poses. The tail really helps steady him in that regard. He comes with two different domes. One black like the original as well as one translucent. I like them both a lot. They switch on and off very easily so I change them depending on the look I am going for in my pictures. Mouth opens so that inner jaw can be pulled out. This isn't exactly a con but just a warning of something to look out for. The jaw piece is extremely tight. That's not a negative in itself. However, I was worried I would pull too hard and possibly break it. I was able to open it just fine with no problems, but don't go yanking too hard or you could break it. The figure stays true to the original Kenner figure while still allowing NECA to add their own badass updates to it. The paint scheme remains blue and black. The figure has a great range of motion which makes for some great pictures. You will immediately notice several differences on this figure from previous Xeno figures from NECA. He has a great head sculpt. As mentioned earlier, it comes with two different dome pieces. The figure even looks cool without any dome on...it reveals the bone of the skull and face of the Xeno. The hands, arms, feet, back, and tail are all different. There is lots of cool boney type armor pieces on this guy. The extra long arms help them to grab and hold down their prey before spraying them with their acid from its mouth. I really love the forked tail he has as well. Personally, I did not collect the Kenner line growing up. 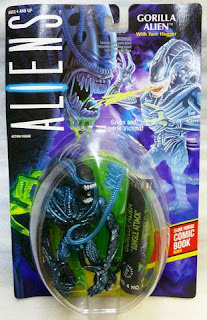 However, as a collector I respect the line and I know that many, many ALIENS fans have been dying to finally get these. Series 10 also includes the Queen Facehugger and the Mantis ALIEN. All of them are fantastic, and I hope that this homage Kenner style ALIENS series continues for a long time. 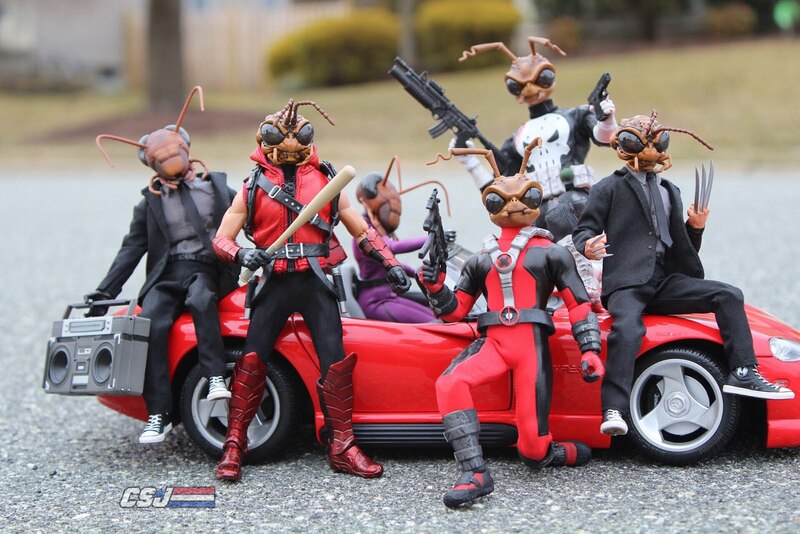 I think that this is one of the most fun series that NECA has done recently (besides TMNT of course). I am very happy that they were able to grant the wishes of so many ALIENS fans. I can't wait for the other figures in this line. If you are on the fence and don't normally pick up the Kenner style figures, don't be! These figures can do so much and are very unique. This is a sure buy! Check out Fresh Figures for all of your toy needs!